forallx - P.D. Magnus - An introductory text for those with no background in logic. Readers can expect to learn the basics of sentential logic, quantified predicate logic, formal semantics for said logics as well as how to develop proofs. Philosophical Devices - David Papineu - An introduction to set theory, other worlds, probability and meta-logic. Again for those with no prior background. Logic for Philosophy - Theodore Sider - Although it can work as an introductory text to formal logic, its scope (completeness, modal logic, etc) makes it more of an intermediate text. An Introduction to Modal Logic - M.J. Cresswell and G.E. Hughes - The book deals primarily with system T, S4, S5 and modal first-order logic. Some may find its scope limited, however the book is extremely thorough; providing many theorems, axioms, etc for each system before moving on to the next and explaining faults or shortcomings in other systems. It should be noted that during the period when most of Classical philosophy was formulated the divisions applied to various areas of modern and contemporary philosophy (e.g. 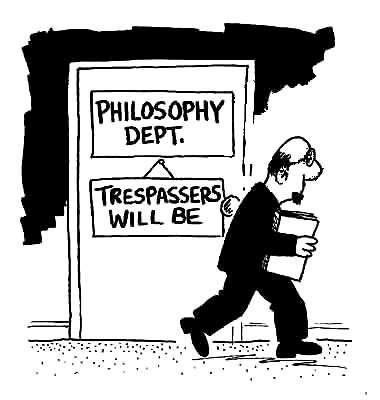 the division of moral philosophy into theories of virtue ethics, deontology or consequentialism) did not exist in a very pronounced manner; treatises can be mostly about politics, but also deal with some metaphysics in certain areas, etc. The Republic - Plato - A treatise on how the Polis came about, why philosophers are the better candidates for ruling, the sacrifices they have to make and how his mode of government would satisfy everyone's "telos". Contained in this is also his "theory of forms". Politics - Aristotle - Aristotle discusses the various modes of government which were around him at the time, the various ways in which they succeed and fail. Specific emphasis is given to the Athenian model of democracy. Euthyphro - Plato - A dialogue including Socrates (before his trial) and a man named Euthyphro. Topics covered by the two center around knowledge (in general and of the gods and their intentions) and how this affects decision making. Nichomachean Ethics - Aristotle - A classic of virtue ethics. Aristotle discusses what virtue is, how to achieve it, as well as how and when people in disparate (economic and political) conditions can achieve virtue. The period known as "Modern philosophy" marks any philosophy written from the 16th century up to the late 19th and sometimes early 20th century. This guide will treat the modern period as taking place between the 16th and 19th century. Historically, modern philosophy is preceded by the period known as "medieval philosophy", however, this period is usually of importance to specialists and it's of little value to new students of philosophy. Further, many of the worthwhile arguments of medieval philosophy appear in the texts of modern philosophers. Leviathan -Thomas Hobbes - The originator of the "social contract". This book discusses Hobbes ideas regarding what the 'state of nature' of humanity was, why humans enter into an agreement of government and the role of the state. An Enquiry Concerning Human Understanding - David Hume - An essential treatise of classical empiricism. Hume explains his ideas concerning the nature of thought and outlines what would later be called "the problem of induction". The Principles of Morals and Legislation - Jeremy Bentham - Bentham applies the ethical theory of Utilitarianism to government and outlines how the principle of utility is to be measured. Utilitarianism - John Stuart Mill - A primer of utilitarianism. Mill explains what the theory consists of, how it differs from "Epicurianism", what the main principle is, how it works alongside justice and how it's to be applied. Leviathan, -Thomas Hobbes - The originator of the "social contract". This book discusses Hobbes ideas regarding what the 'state of nature' of humanity was, why humans enter into an agreement of government and the role of the state. Two Treatises on Government, - John Locke - The bulk of Locke's ideas are contained in the second treatise, the first being a response to another philosopher. In this he builds on/reacts to Hobbes' conception of the state of nature, the role of government and proposes one of the most famous arguments in favor of private-property. On The Social Contract - Jean Jacques Rousseau - Building on the tradition set by Hobbes and Locke, Rousseau outlines what he believes to be right form of government. Arguing in favor of both direct and (various forms of) representative democracy. Considerations on Representative Government - John Stuart Mill - Although the book is mostly concerned with justifying representative democracy, in certain parts (particularly chapter 3) Mill airs out his grievances with the representative system and proposes an argument for direct participation. Towards the end of the 19th century a split happened in philosophy and two main camps were created: One became known as the "analytic" side of philosophy and was marked by a commitment to formal logic, empiricism and (at least initially) concern with philosophy of languge; the other become known as the "continental" side of philosophy (the name being a bit of a misnomer since many analytic philosophers came "from the continent", that is, Europe and because Europe isn't the only continent!) and was marked by criticisms of philosophy and, among other things, a penchant for system building. Some philosophers dispute the notion of dividing philosophy into an "analytic" and a "continental" side (e.g. Richard Rorty and Brian Leiter), but, because the division is generally accepted, it will be applied here. Thus, unless there's disagreement, the contemporary philosophy section of this guide will have an analytic and, as people contribute, a continental section. In the meantime, for readings in continental philosophy refer to Philosophy- a further reading guide. A Theory of Justice - John Rawls - Rawls devices a famous argument defending liberalism and favoring contractarianism as a way of establishing a just society. Readers can expect to be acquainted with his “veil of ignorance” concept, his idea of reflective equilibrium and, all in all, the way in which contemporary political philosophy works. Anyone interested in engaging in any type of contemporary political philosophy must be familiar with the ideas presented here (although, perhaps, not with the entire book). Anarchy, State and Utopia - Robert Nozick - Nozick’s propertarian (“libertarian” in political philosophy circles) response to Rawls. He sets forward his argument defending private-property and advocating a minimal state. Why Not Socialism? - Gerald Cohen - Although this text is technically a political philosophy text, it is written in a very accessible manner. Like the title suggests, it is Cohen’s attempt to show that, contrary to the common arguments people give, humans don’t have to be egoists and that when put in certain situations, like Cohen’s camping trip, they immediately assume basic socialist principles regarding how to divide labor, use tools and enjoy the fruits of what they produce. On the Currency of Egalitarian Justice - Gerald Cohen - Although written before, Why Not Socialism?, this essay can be taken to be the supplement to it. Here Cohen assumes the more distinctive manner of establishing principles for justice common to contemporary political philosophy and which were at work behind the scenes through much of, Why Not Socialism? He shows why his version of egalitarianism, known as “Luck egalitarianism”, is most just, why it should be advocated and how it covers the basic points of other forms of egalitarianism advocated by other philosophers. Self-Ownership, Freedom and Equality - Gerald Cohen - In this book Cohen targets the arguments of Nozick in his, Anarchy, State and Utopia, and shows, among other things, that (1) Nozick is not as much concerned with liberty as he is with property, (2) his famous maxim that, “just steps lead to just conclusions” is mistaken and (3) his arguments allow for a left interpretation (“world ownership” as opposed to “private ownership”) which undermines his right-wing enterprise. Cohen also attacks what he takes to be the Lockean assumptions of Marxists regarding labor and value. The Philosophical Foundations of Private Property - Alan Carter - Carter examines the most famous arguments used to justify private-property and finds them all unconvincing. Throughout the text he makes clear why a system of usufruct (equal access) regarding that which may fall under the tile of "property" avoids all the philosophical problems private-property does not. Philosophers whose arguments are addressed include Locke, Bentham, Nozick and Kant (among others).